Not everyone loves sports-ball, but EVERYBODY loves puppies! 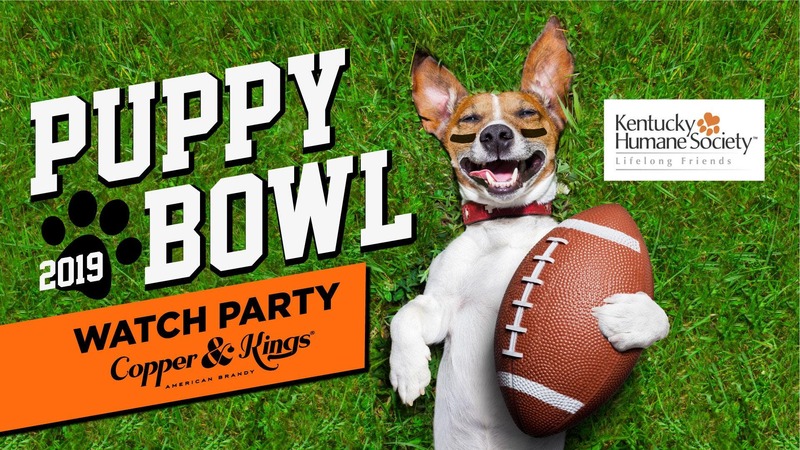 Pre-game your Superbowl Sunday with the Kentucky Humane Society on the second floor of Copper & Kings with a family-friendly Puppy Bowl Viewing Party – and yes, they'll be bringing adoptable puppies and kittens! Doors open at 2pm, with the Puppy Bowl playing on our big screen from 3-5pm with shareable game day food platters and drinks (including non-alcoholic options) available for purchase. We're excited to be hosting some local vendors at the event for all of you dog parents and canine lovers! Unfortunately we can't accommodate outside dogs except for service animals.